Nintendo fans in the UK have proved their love for the Nintendo Wii U. The system which was launched during the weekend sold out over 80,000 units over the weekend, which doubles up Wii U’s popularity around Europe. In the course of this event it has been anticipated that the Switch may have sold even more at the weekend if additional stock was available. 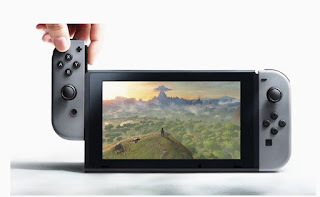 According to the head of technology and Games Phil Browes he stated that “Switch’s launch was fantastic”. He further explained that “We satisfied all pre-orders and blasted through the remainder of our initial allocation. Every single one of our pre-order customers received their console on launch day, and we’re optimistic that with some great games due to be released, Switch can establish itself as a successful third console in the market. We’re a bit tight (off stoke) but we’re looking forward to more deliveries this week.” With this acknowledgement, there no doubt that conquest of UK video game market lays in the hands of Nintendo. Thank you Brian for that tip.